Here’s an interesting side note about what Mitt Romney’s secret fundraiser video tells us: he’s not very good at handling his supporters. Here’s the thing: political fundraisers are full of true believers. Those are the kind of people willing to give big bucks to campaigns, after all. What’s more, these true believers often have fairly extreme political views, and they want you to have those extreme views too. No namby-pamby candidates for them! They always think you should get tougher, more aggressive, that you should really fight back against those swine on the other side. It’s like being buttonholed in a bar by a guy who’s had a few beers and insists on telling you what’s really wrong with America. This is the case on both left and right. And a politician with even a tenuous grasp on how to handle this kind of pressure knows what to do: you redirect. You can’t tell these folks they’re crazy, of course. They’re true believers! And they’re rich! You need their money. But you can’t really agree with them either. That’s too dangerous. Word gets around, even if nobody there is secretly recording the event. So you soothe. I get where you’re coming from. And then you back away. Maybe you blame it on polling data (“our focus groups show that voters don’t respond well to that, and you do want to win, don’t you?”) Maybe you change the subject. Maybe you introduce some interesting new fact that they’ve never heard of. Maybe you appeal to authority. Or you outsource your response to a surrogate later on so that you’re not personally connected with it. Whatever. But you handle them. Except that apparently Romney can’t. And that’s pretty weird, isn’t it? He has more experience handling the titanic egos of rich people than anyone in politics. 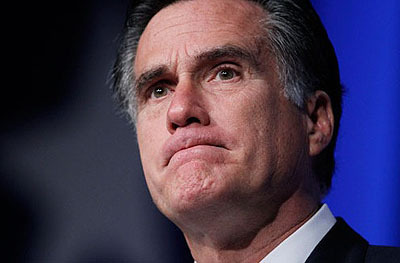 If anyone should be able to stroke big-dollar donors without saying anything stupid, it ought to be Mitt Romney. But he can’t. Outside the business world, his people skills are apparently so poor that even when he’s faced with truly harebrained ideas, his only defense is to simply agree. He seems to have no idea how to handle strong-minded people whose support he needs. This is, needless to say, not an especially good character reference for someone who’s running for president of the United States.